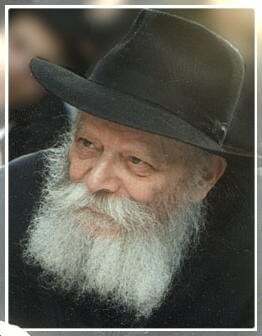 Anyone who had the good fortune to meet the Rebbe during his lifetime can relate the unparalleled attention and love that he offered each individual, regardless of background, situation or degree of religious involvement. Whether they came for blessing, advice, or encouragement, men and women from all walks of life found solace in the Rebbe's kind words and luminous visage. Anyone who stood in his presence - even for a moment - could not leave without being deeply affected, if not changed by their encounter, an extraordinary experience that people carry with them to this day. Our Sages declare that the Righteous are even greater after their passing than during their lifetime, and the constant stream of visitors to the Rebbe's resting place (the Ohel) from every sector of the Jewish nation testifies to the powerful truth of their words. The Ohel has become a center, the place where thousands come and continue to receive inspiration and blessing from the Rebbe. There are various observances related to visiting the Ohel, such as removing leather shoes before entering, and more (see: Appropriate Conduct). But most important is the spiritual preparation of accepting a new good-deed and spiritual stock-taking. The most convenient way to access the Ohel is through the Visitor Center, which is open 24 hours-a-day, six days a week. If unable to come in person one may join the thousands who send their letters via postal mail, fax or e-mail to be placed at the Ohel.